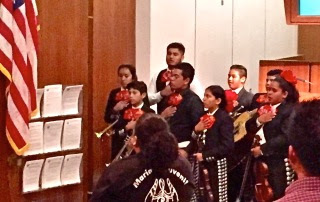 The meeting began with the playing/singing of the National Anthem by Mariachi Herencia Michoacana Group and, following a moment of solemn expression, Councilman Allan Mansoor led the Pledge of Allegiance to the flag. 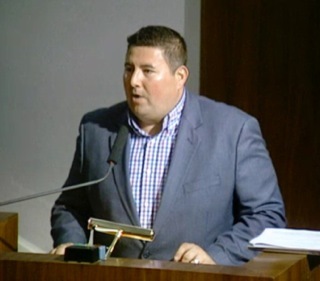 Foley asked City Attorney Tom Duarte if he had any report out of the earlier Closed Session and he told us that, on a unanimous vote, the council had agreed to settle a lawsuit - number 5 on the agenda, HERE, for $250,000. One more dip into the self-insurance fund. 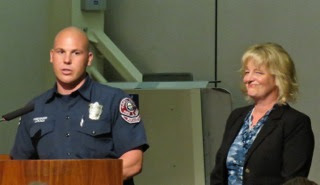 Back on a positive note, Foley announced the City Manager's Leadership Award to Firefighter/Paramedic Givoanni La Placa. This was a very well-received, uplifting report. What a great young man! 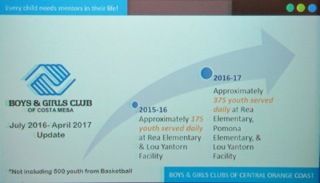 The City was then presented with the Boys and Girls Club Annual Report by Robert Santana, CEO of the Boys and Girls Club of Central Orange County. Much progress has been made since several organizations have been folded into one. Then the Interim Building Official presented the annual report from the Access Building, Fire and Housing Board of Appeal Committee. The following slides tell you what he said. Several people spoke during Public Comments - non-agendized items. Jay Humphrey - back in the saddle after major back surgery - gave kudos to Public Services Director Raja Sethuraman and his team for rapid response to trip-and-fall hazards reported by Humphrey. 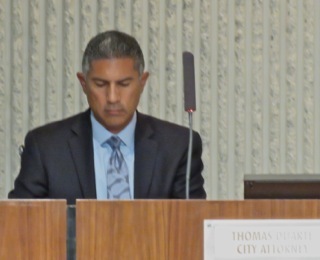 He also opined that the City should be doing everything they can to prosecute the bozo who drove the truck into vernal pool #4 at Fairview Park, and the tow truck driver that pulled him out. 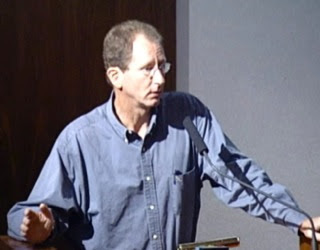 Al Melone spoke negatively about the recent sparsely-attended Coyote Forum conducted by the CMPD. 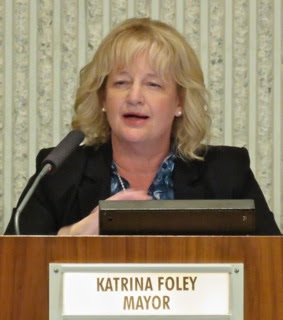 Wendy Leece, back from her recent hospitalization and ready for battle, praised the City for attempting to rebuild our public safety organizations, then criticized the selection process for the commissions following the election of new council members, observing that the council violated Council Policy. Bob Cartright launched into a rambling rant about his concern for our children, offering critical comments about how "the building industry owns our city". 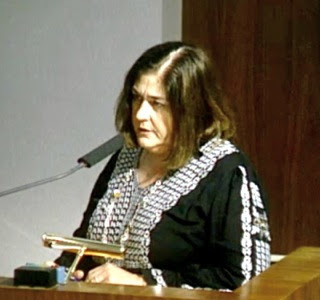 An unidentified woman observed that the residents should not have blind trust in the council. 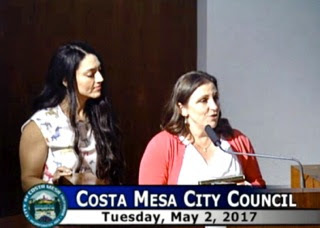 She remarked about the recent Orange County Register article about Costa Mesa being the Capital of Cool and suggested it should also be known as the OC Rehab Riviera. 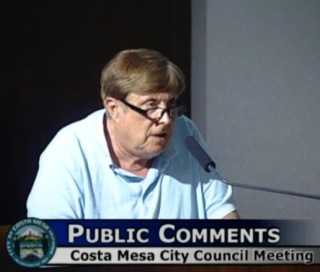 Richard Russell spoke on the recent Homelessness Forum held by councilmen John Stephens and Allan Mansoor, quoting statistics from that meeting and mis-identifying the cornerstone of our efforts in that regard, Muriel Ullman, as "Murial Berman". 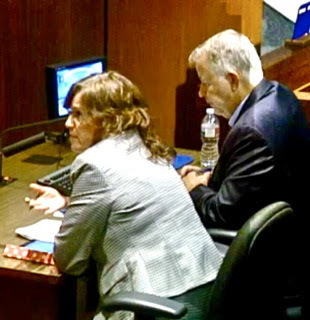 Cindy Brenneman, once again, brought up the appointment process that gave us Carla Navarro Woods on the Planning Commission - obviously still a festering wound for her. 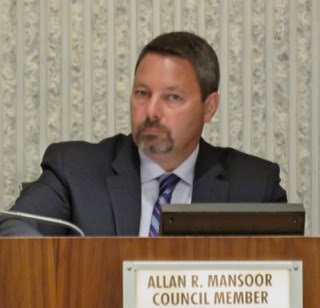 During Council Comments Mansoor thanked Melone for his comments about the Coyote Forum and told us about a new, easy-to-use app - Coyote Cache - that allows folks to enter their observations to help track coyotes in the city. 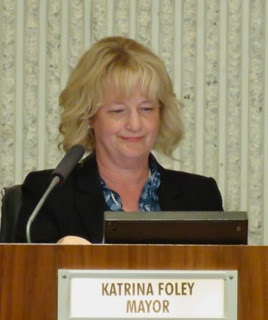 Foley attempted to defend the commission appointment process - and did not succeed. 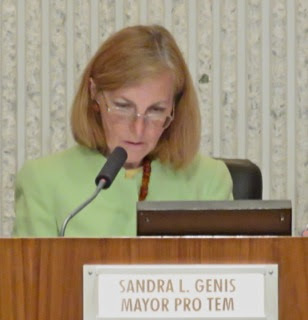 A remark she made referring to Genis' vote caused the Mayor Pro Tem to fly off the handle. It was not a pretty sight. Foley spoke about her Friday Office Hours program that scheduled folks to speak with her. Genis spoke about the need to find a solution to the loss of space at Lions Park while the rebuilding project is underway, observing that the gates at Davis Field should be opened so folks could use that green space for play and relaxation. She also asked about the First Friday Road Show this week and was assured that it was on as scheduled. 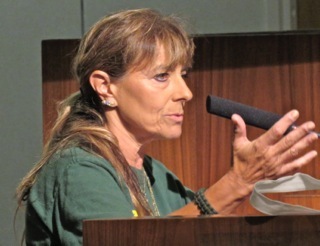 She also spoke briefly about the coyote problem, urging folks to keep their cats inside at night. 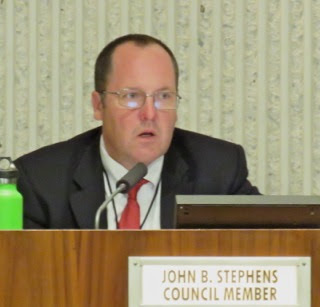 Next up was Stephens, who managed to violate the agreed-upon 4 minute time limit by at least another 10 minutes. 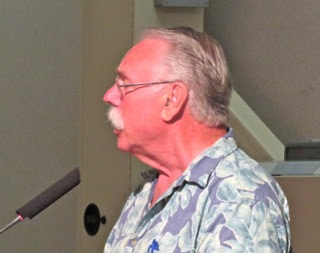 He spoke about his plan for a noiseless July 4th Fireworks program, observing that PETA donated $5,000 to his program. He then spoke about the trip he, Foley, City Manager Tom Hatch and another city staffer took to San Antonio, Texas to look at a possible solution for our homelessness problem. While a worthy subject, this is where the time element got to be problematic. He went on and on - acknowledging that he was exceeding his allotted time - and THEN had an 8 minuted video played to compound the issue. Righeimer was last and quickly criticized Stephens for his long presentation - not that it wasn't interesting, just too long, per their rules. He then said we should put the Navarro-Woods issue behind us - then slipped in a little jab about how he understood she was missing meetings. The man is a snake - I intend to watch to see when he sheds his skin this year. We were now at 7:24 p.m., twenty-four minutes after the normal start time for Public Hearings - and we had a long way to go. Next up was the Consent Calendar - those items that could - and probably should - be voted upon in one vote without separate discussion. Alas, it was not to be. Four items were pulled from the nine on the list. The remainder were passed, 5-0. 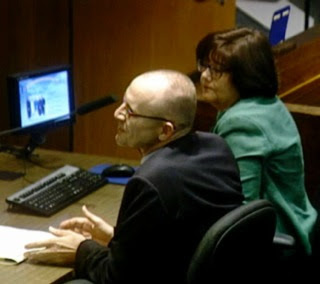 Item #2, the Warrant Resolution, was pulled by an unidentified resident to observe about the money we are paying lawyers to work on Sober Living issues. It was passed, 5-0. Next was Item #6, the renewal of the professional services agreement for the consultant - Mike Lineares - that handles CDBG and HOME grants for us. The same unidentified person pulled that one and Senior Staffer Willa Bowens-Killeen explained the need. It passed, 5-0. Next came Item #8, the Towing Services Contract with Metropro Road Services and G&W Towing, pulled for discussion by a non-winning competitor for the contract. This should have been a slam-dunk, but it wasn't. After lengthy interrogation of the City Staff Team, led by CMPD Lieutenant Vic Bakkila, by the City Council they finally voted, 5-0, to approve the contracts, but with a 2-year term with a single 1-year extension. The discussion took a half-hour. Item #9, the amendment to the professional services contract with Stradling Yocca Carlson & Rauth for their work on the Lions Park Project debt financing element. Wendy Leece pulled this one for discussion. 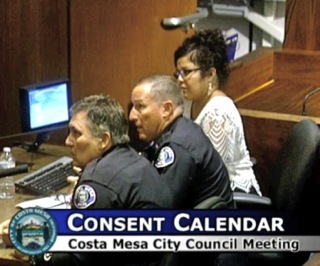 Celeste Brady - of the law firm - and Interim Finance Director Steve Dunivent presented the City discussion. It went on and on, degenerating into a technical discussion of bond financing and the people's right to know, during which we saw another cat fight between Genis and Foley. Finally, at 8:30, the council passed the item, 5-0 and Foley called for a brief bathroom break. 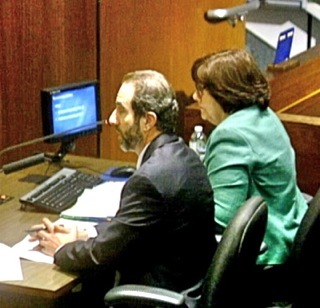 We were now 90 minutes behind the normally-anticipated schedule for Public Hearings. 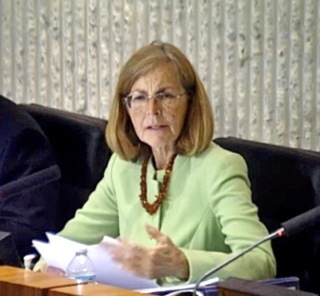 When the meeting conveined Linares and Bowens-Killen presented Public Hearing #1, the hearing for the Fiscal Year 2017-2018 funding priorities for the CDBG and HOME grants. 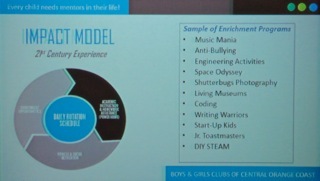 The following slides will describe the presentation. The short version is, we don't know how much money will be available this year and, based on blather coming out of the Trump White House, we may not see this kind of program funded for future years. The staff presumes $1,000,000 for CDBG funding and $340,000 for the HOME programs. 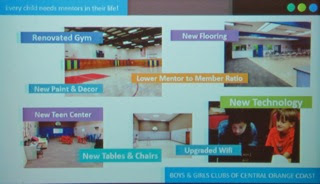 Several applicants for the funding presented themselves to the council to introduce their programs. Finally, at 9:15, the council approved the staff recommendations, including the provision for the staff to make proportional modifications to the grants once the actual total dollars are known, 5-0. Next, led by Deputy City Attorney Tarquin Preziosi and consultant Sherry Vander Duessen, came Public Hearing #2, the Measure Z discussions - the creation of a fee structure for developments in the far northwest corner of the City, to be used for open space and park land - and the creation of a 17-member committee to oversee and advise the council on these issues. The Planning Commission had earlier recommended to delete this committee from the discussion and place the responsibility for this activity in the hands of the Parks and Recreation Commission. 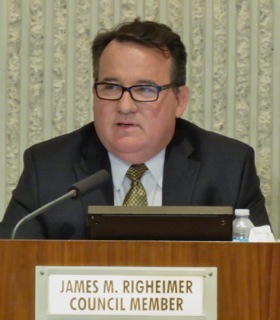 Councilmember Jim Righeimer led off by observing that this committee would actually have no funds to work with for one or two years, so he was concerned about the rush to create this new committee to do basically nothing. 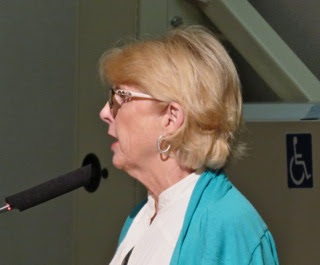 Resident Cynthia McDonald observed that, while youth sports are great, the configuration of the proposed committee would be heavily-weighted in that direction, leaving advocates of open space poorly represented. She observed that we don't need another stacked committee, like the failed Fairview Park Citizen Advisory Committee - particularly when the median age of Costa Mesans is increasing. An unidentified resident agreed with her and commented on the outstanding competence of the new Parks and Recreation Commission. 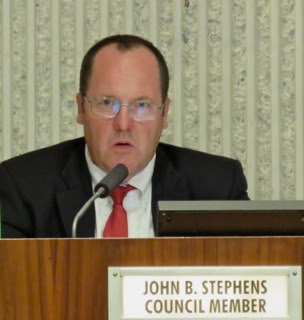 Stephens moved the recommended action, citing the opportunity for greater citizen involvement. 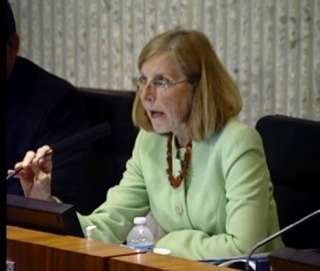 Genis observed that it had too great an emphasis on youth sports, and that she feared it would take away responsibilities from the Parks and Recreation Commission - which it would. She asked to have the "youth sports" language deleted, to which Stephens replied it could be replaced with "recreation". Righeimer made a sarcastic remark that whenever a committee had an acronym of seven or more letters it was a sign of "government run amok". He said it's a level of government that we don't need. 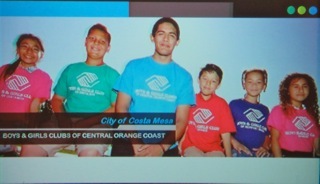 He defended the existing, private Youth Sports Council over seen by Costa Mesa United. After a 30 minute discussion the council finally voted the staff recommendation, with the language changes, 3-2, with Righeimer and Mansoor voting NO. My observation here is that this council made a big mistake. The duties described in the resolution are clearly those that could, and should, fall under the umbrella of the Parks and Recreation Commission, not a large, unwieldy, committee. 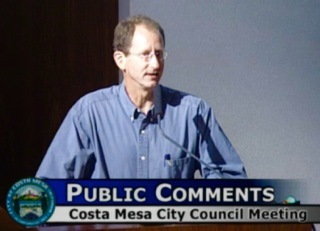 From the beginning this has seemed to be a power play, to emasculate the influence of Costa Mesa United in recreational issues in our City. Whether that is good or bad is another discussion. However, a much more satisfactory solution to this would have been to change the ordinance to abandon the proposed committee and allow the Parks and Recreation Commission to perform this work - it's a natural! 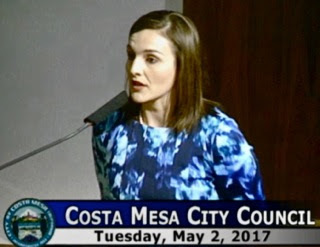 Certain members of the City Council seem, for whatever reason, to be in a tug-of-war over youth sports with Costa Mesa United. I believe it has clouded their judgment on this issue. We'll find out soon enough, as the recruitment for those 17 positions on the committee begins, probably within the next week or so. It's very possible that some of groups will boycott this effort, which would be a shame. Next on the agenda was Public Hearing #3, the resolution to vacate a portion of East 19th Street at 152 East 19th Street. This was a no-brainer and passed quickly on a 5-0 vote. 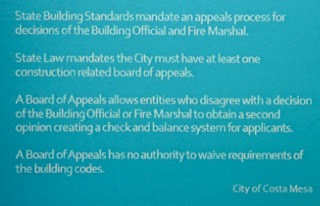 As did Old Business #1, the ordinance reauthorizing the collection of "PEG" fees for CMTV. That also passed on a 5-0 vote. 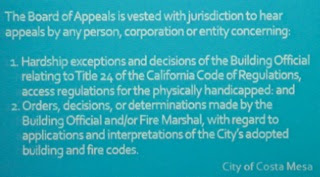 We were now at 9:50 p.m. and about to hear Old Business #2, the second reading of two ordinances regarding Group Homes, as amended by the council at a previous meeting. Again Preziozi and Vander Dussen led this discussion. Twenty minutes later, after a discussion that included public comments questioning the process and asking for clarification of the distinction of the Conditional Use Permit vs. Special Use Permit and how the ordinances would be enforced. 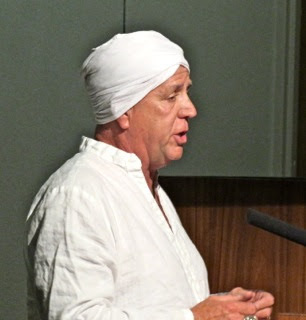 One speaker described the process as being "outta control", indicating that the sober living home operators have control in the city and are willing to spend a lot of money to get their way. The issues passed, 3-2, with Mansoor and Righeimer voting NO. 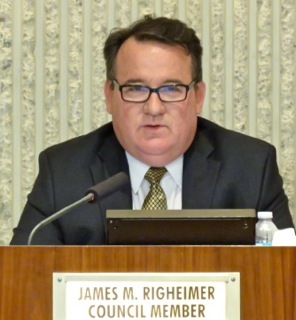 The final item on the agenda, New Business #1, was the re-authorization of the Business Improvement Area (BIA) and the review of the annual report. 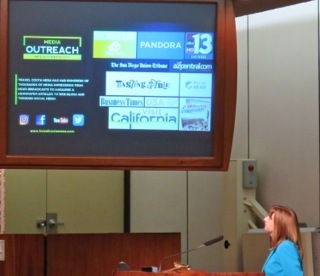 President of Travel Costa Mesa, formerly the Conference and Visitor's Bureau, Paulette Lombardi-Fries, made a presentation and showed a glitzy video clip to dazzle the council. The council voted to follow the staff recommendation on a 5-0 vote at 10:22 p.m. 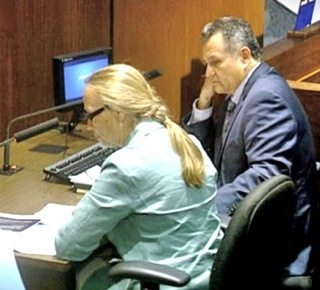 In final comments Genis expressed "profound disappointment" that her peers seemed willing to not follow the rules they had established - referring to the earlier 4-minute violation by Stephens. ROAD SHOW CLOSING? NOT MY FAULT! Foley apologized for letting Stephens run so long, then observed that she had heard a rumor that the First Friday Roadshow was shutting down and said "it was not me!" She also wanted a report from Duarte or head of Code Enforcement Fidel Gamboa on code enforcement activities with sober living homes. A committee with 17 members is doomed to progress at the pace of a turtle. I'm deeply saddened to know the First Friday Car Show is ending. 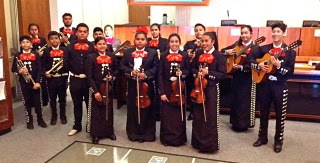 That is a wonderful program for this city and will be sorely missed. I've spoken to many that loved it. I hope things change and it will go forward. We need more events such as this. 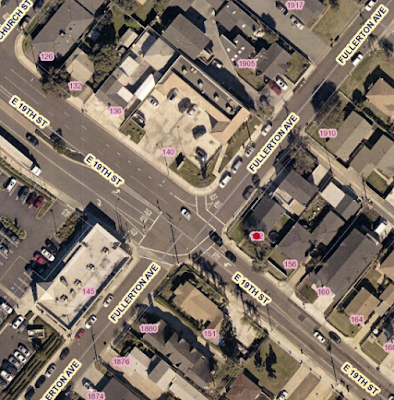 Actually, the Bikeway and Walkability Committee, with 17 members, did great work. Ann Parker is right about one thing. The city and (most) of its residents to love our police and fire departments. I can't applaud them enough. This young man, Giovanni LaPlaca, more than deserves this award. 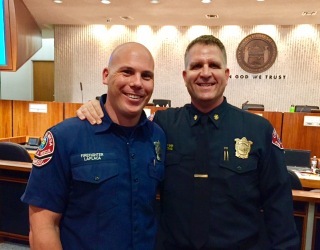 He saved a little girl from drowning when he arrived and found her at the bottom of a swimming pool, not breathing. 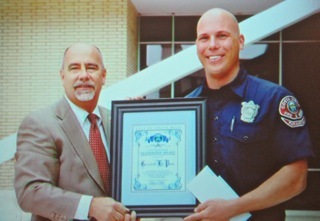 I'm glad to see the city award him for his hard work and training. Thank you, Giovanni.